I’ve loved Christmas music ever since Phil Spector showed the world how its done, and thank Jesus for this year's new crop of cds (which also include gems by Brian Wilson and Brian Setzer). But the Reverend Horton Heat, aka Jim Heath, has gotta be the biggest, baddest, grittiest, greasiest, greatest rocker that ever put on a Santa suit and pound down some egg nog in years. Last year, when The Reverend Horton Heat blew through San Francisco to play Bimbo's on New Year's Eve, I got a chance to hang with the Rev and heard about his plan to record a Christmas cd.  I burned him a cd of some songs that I thought he might dig and/or consider recording for the album, and lo and behold ho ho ho, a couple of my recommendations were apparantly taken to heart. It didn't take a genius to suggest covers of Elvis's "Santa Bring My Baby Back to Me", Buck Owens' "Santa Looked a Lot Like Daddy", "Willie Nelson's "Pretty Paper", or Chuck Berry's "Run Run Rudolph", but they sure were well suited for the Rev, and the proof is now available. And then to cap it off, there's the new original, "Santa On the Roof". 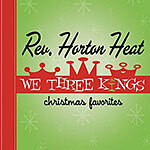 "We Three Kings", the band’s second release for Yep Roc Records, is the best new Christmas album in awhile.